American National Standard for rigid steel EMT (ANSI C80.3 ®). Underwriters Laboratories Standard for EMT-Steel (UL797). ® 2002 National Electrical Code Article 358 (1999 NEC ® Article 348). American National Standards Institute (ANSI®). 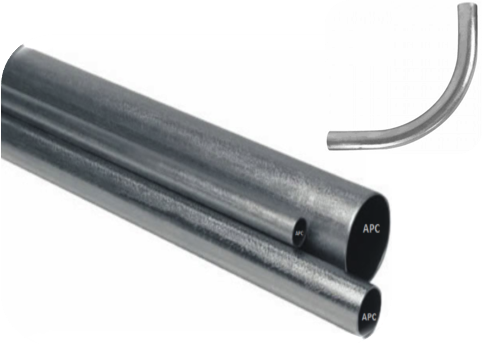 American National Standard for Rigid Steel Tubing (ANSI® C80.1). 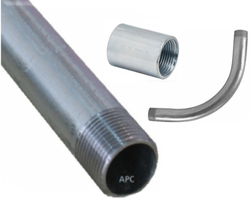 Underwriters Laboratories Standard for Rigid Steel Tubing (UL6). National Electric Code® 2002 Article 344 (1999 NEC Article 346). ½”, ¾”, 1”, 1¼”, 1½”, 2”, 3”, 4”, 5” & 6”.